There are so many examples of broken lives mended and healed because of the support you so generously provide to Old Skool Cafe. Desiree’s is one of them. From the earliest age, I had the odds stacked against me. My parents were addicts, then gone. My grandmother stepped up and we tried to look after each other. We went to food banks together, recovered together after I was assaulted in the basement of our apartment building. After the assault, the two of us ran away to an abandoned drug house, living without electricity or hot water. And then one morning I woke up and realized I’d slept through bullets being fired into the house, piercing the wall, an inch from my head. It was a breaking point; I stopped caring about myself, or life. My siblings were in gangs, and suddenly, I saw the appeal of joining a gang as well. I stayed out all night and started drinking. Many times I got caught by the police, but I didn’t care. I didn’t care about anything. See, just when a lot of young people are applying for college or getting ready for prom, those of us with a history of abuse and neglect, are turning to gangs and crime to fill a void left by broken families and a broken system. Luckily for me, when I was most lost, I was found. By Old Skool Cafe. Old Skool Cafe gave me the training, safety, and family to break the cycle I was trapped in. I learned on-the-job skills, and so much more, like how to trust and how to be trustworthy. And most of all, how to find my purpose and hope for my future. Running a full-service restaurant is hard work. It’s an emotionally charged and fast-paced environment. But whether we’re prepping in the kitchen, in the middle of service, or catering a party, Old Skool Cafe is a family that pulls together and gets it done. Old Skool Cafe changed my life. I walked in the door, at the age of 15, at the lowest point in my life, convinced I wasn’t worth fighting for. Now, as Old Skool Cafe’s office manager, I get to help the youth in our programs find their own hope for the future. You can invest in young people just like Desiree. 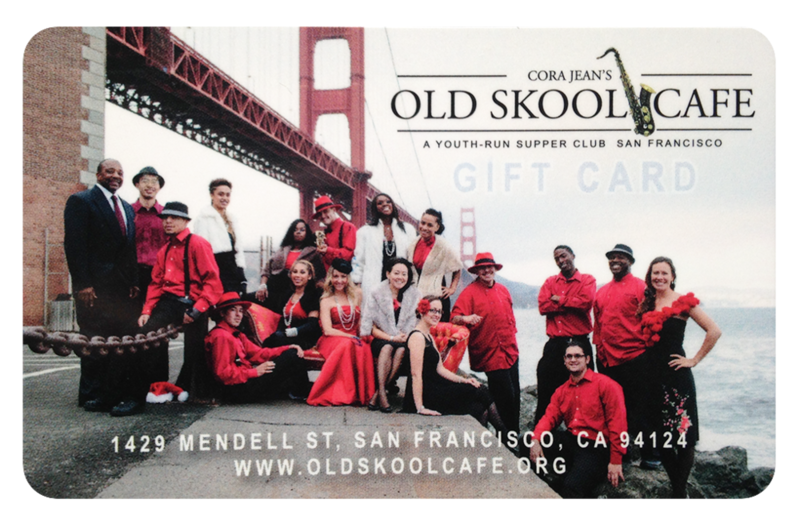 Please make a gift to Old Skool Cafe today.